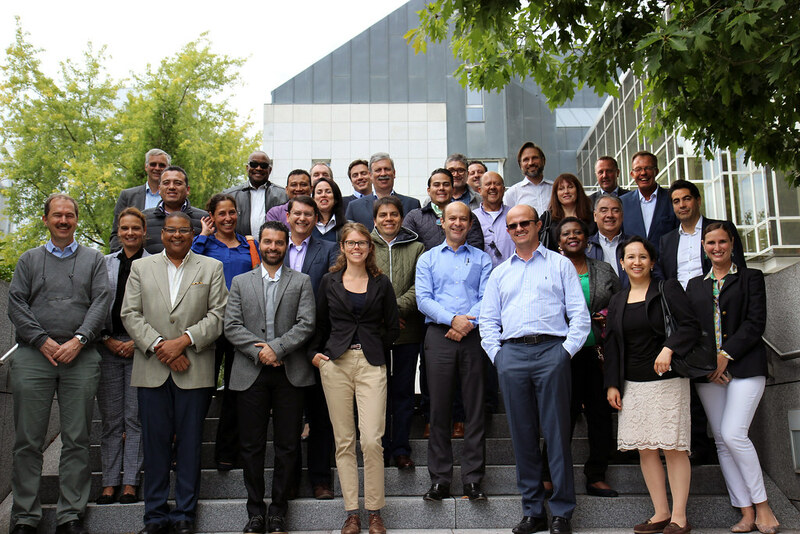 September 2017.- The Latin American Association of Development Financing Institutions (ALIDE) and Kreditanstalt für Wiederaufbau (KfW) organized the “Latin American and Caribbean Development Bankers Mission to Kreditanstalt fur Wiederaufbau (KFW): Energy Efficiency in Germany”, from September 2 through 8, with visits to the cities of Berlin, Frankfurt, Wolfsburgo and Armsberg. During the mission, the bankers learned in detail about the role played by the German bank as the main financier of the energy efficiency industry in the country, which also focuses on areas such as infrastructure, housing, business creation and cooperation for development. In this regard, practical views were offered on successful cases of the application of energy efficiency. The mission was a space for the transfer of know-how from the bank on the implementation of this type of projects. It was also an opportunity to strengthen cooperative relations with KFW and to coordinate and initiate joint ventures. As is well known, ALIDE annually organizes missions of bankers from Latin America and the Caribbean to financial institutions and international financing bodies from different regions of the world.